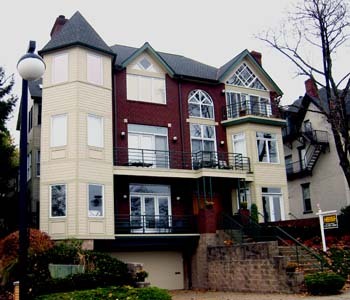 The three luxurious flats condominium was designed to fit into a void in a row of large century old victorian homes along the Grandview Avenue atop Mt. Washington. The window openings were maximized to take advantage of the magnificent panoramic view of Cityscape wrapped with three rivers. 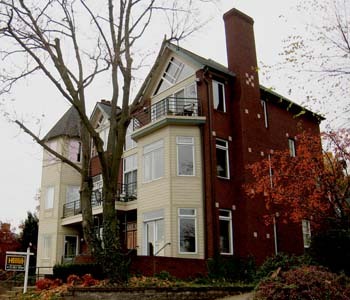 The landscaped sweeping stairway was provided at the rear to access the third floor flat to minimize the interior stair.